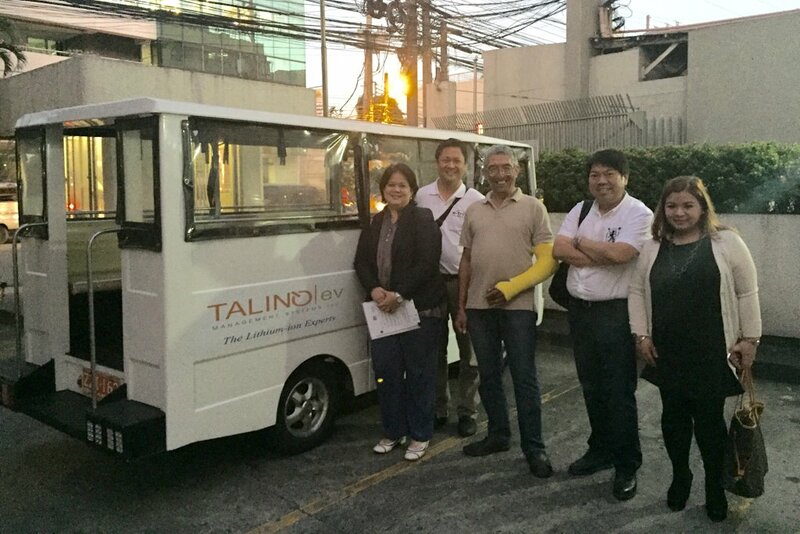 The Electric Vehicle Association of the Philippines (EVAP) together with the Department of Trade and Industry recently held a year-end meeting in order to map out the progress and formulate development plans for the domestic electric vehicle Industry for the coming year 2016 and thereafter. For this purpose, an Electric Vehicle Working Group was formed as a sub-cluster of the Automotive Industry Technical Working Group by the DTI’s automotive champion, Director Corieh Dichosa. This was done together with EVAP President Rommel Juan, EVAP secretary Edmond Araga and representatives from various government agencies such as the Department of Science & Technology and financial institutions such as the Development Bank of the Philippines and Landbank. Juan said that this was very timely considering the issuance last December 19, 2015 by the Board of Investments of the implementing rules and regulations of E.O. 182 or the Comprehensive Automotive Resurgence Strategy (CARS) Program. “We need to know how we can fully avail of the incentives provided for by E.O. 182”. During the forum, Juan presented the progress of the domestic EV industry followed by discussions on the EV Roadmap Action Plan priorities. It was agreed that the industry will target to roll out 5,000 electric tricycles and 1,000 electric jeepeneys during the next three years. To support this initiative, financing of the EV ecosystems and access to “green” credit lines were discussed by DBP and Landbank. Juan also revealed that the EVWG also tackled other important issues such as non-fiscal incentives, electric vehicle registration guidelines by the Land Transportation Office, its Motor Vehicle Inspection System as applied to EVs, local and national franchises for EVs and the development of standards for electric vehicles, EV parts and components and testing. “We also took up government support for the advancement of EV technology and R&D and the human resources needed to support the EV industry. We really need to be ready to take the EV industry to the next level thus from among us, we assigned roles for each member of the EVWG to do to ensure the implementation of the action plans formulated”, Juan said. “We are confident that with the government's support, we can push for our electric vehicle advocacy even more and go full blast in our campaign to modernize mass public transport with eco-friendly EJeepneys and ETrikes”, he concludes.